We will have our first eElearning Day on December 15th, 2018. This will replace the snow day that we missed in November instead of having to add it on to the end of the year. 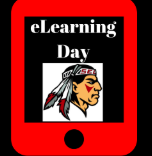 The window for the eLearning Day will open on Thursday, December 13th at 3 pm and will close on Tuesday, December 18th at 8 am. This means that students can complete the work whenever it is convenient for them during that time frame. It does not have to be done on that Saturday. Students can find their lessons on our LMS - Canvas. The WHS Library will be open on Saturday, December 15th from 8 am - 3 pm for any student who needs to use the internet. Students from SES and SMS must be accompanied by an adult. Teachers will also be available by email on Saturday from 8 am - 3 pm for questions. Students will also be able to ask questions to teachers on that Friday and Monday at school. Please refer to this FAQ sheet for more detailed information!